There's something incredibly thrilling about walking into the fragrance section of a beauty hall faced with counter upon counter of scents housed in the most beautiful glass bottles. No other form of beauty shopping compares to the excitement of sniffing your way around the shelves and trying not to mix up the scent strips, knowing that your signature scent is waiting to be discovered. The stakes are even higher when you're shopping for your wedding perfume. Choosing a perfume to wear on a regular Tuesday morning can be overwhelming enough, but deciding on the scent that will always remind you of your wedding day definitely ups the ante. You might not wear your wedding dress every few weeks, but you can definitely spritz on a fragrance and be transported right back to that magical day. When you're sampling wedding perfumes, there aren't any rules. You don't have to go down the traditional floral route or pick something that screams "bridal." Go with your personality and individual taste, and factor in the type of wedding you're having and what season it's taking place in, but most importantly, think about what you just love the smell of and whether that love will endure for years to come. 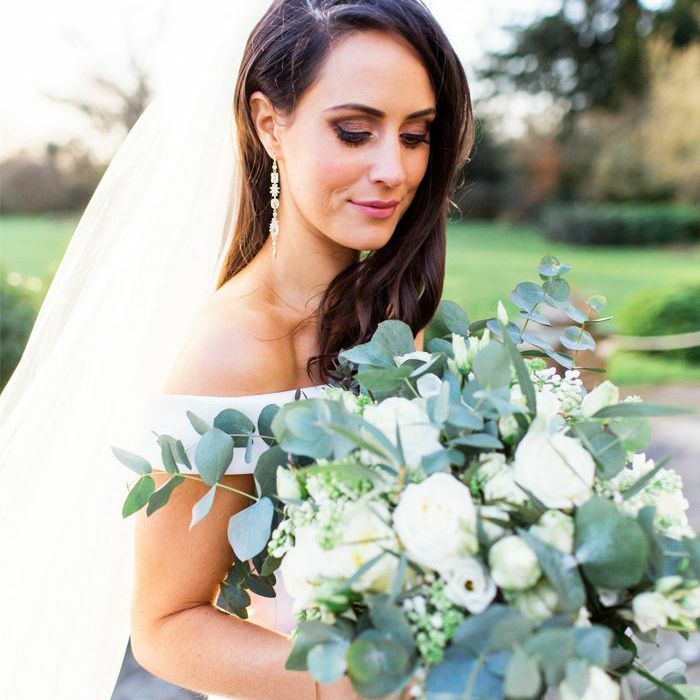 To give you some inspiration, we asked a handful of beauty insiders to tell us the fragrance they wore on their wedding day. "Perfume is incredibly important to me, and I'm quite fussy about what I like, so it took a while to choose one. I'm a huge Jo Malone fan, and I wanted to smell like 'me' on my wedding, but I also really liked the idea of having a wedding-specific scent so that it'll always remind me of that day. In the end, I decided to combine Jo Malone Nutmeg & Ginger with my everyday favourite scent, Blackberry & Bay (£90). Now the mixture of those two scents will always remind me of my wedding day." 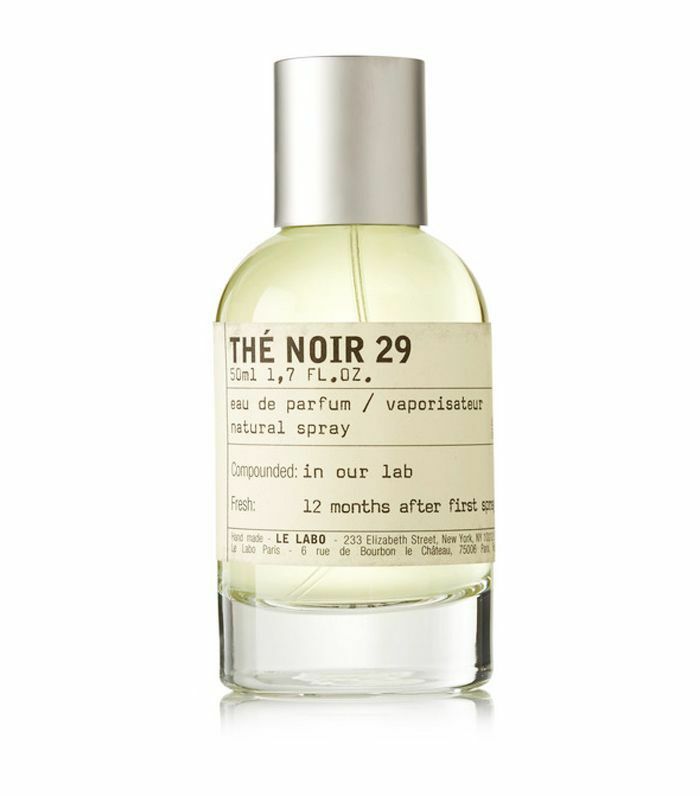 "I first discovered the Thé Noir 29 fragrance at the Le Labo boutique in Williamsburg back in May 2017 when I was in New York on a press visit. I've always loved warm, intense fragrances—Maison Francis Kurkdjian Grand Soir (£140) was one of my favourites, so it was no surprise that I was instantly drawn to Thé Noir 29. 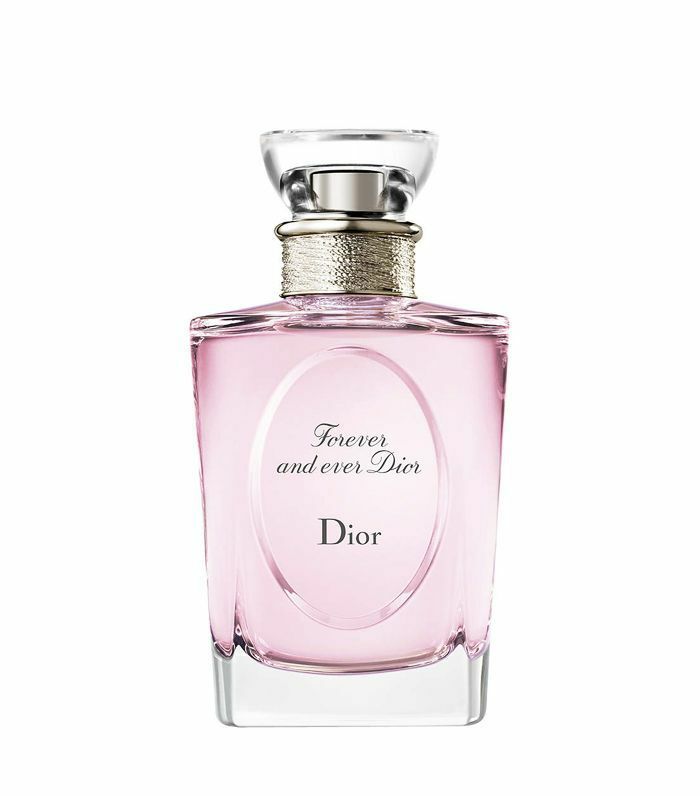 It's hands down the most captivating fragrance I've ever come across and guarantees a compliment. Up until then, I've never had a signature fragrance. Working in beauty, we're spoilt by being introduced to so many beautiful fragrances, so at that point I didn't immediately note this as my wedding fragrance. "But after wearing it every day for six months in the run-up to my wedding, there was no question about not wearing it down the aisle. It was comforting to have a familiar scent that I'd worn before to keep me calm and composed before 120 head turns! My dress was very simple, so I wanted a statement fragrance to pair with it—once spritzed, it starts out woodsy and intense, but it grows sweeter and lighter throughout the day. Thé Noir 29 was also incredibly fitting that my black-tie wedding was held on December 29. "Hapless romantic as I am, I wore Dior Forever and Ever (£87) for my 2012 wedding. I needed something light that wasn't overpowering, as I was getting married in 35º weather in Sierra Leone. It was a typical big African wedding production, so I knew my perfume had to be understated, as everything else was so loud, but in a good way. "I love jasmine, which is one of the main notes in the fragrance, and together with freesia and rose, it had a fresh feeling to it. It was a pretty easy job choosing it, as I chose it during the winter when everything else was quite heavy-smelling, so it stood out. I loved the name as well. I wear it from time to time on special occasions, as it really takes me back to the chaos, frivolity and enjoyment of the day. I've since finished the original bottle." "I got married two years ago at my parents' house in the country, and the church is at the bottom of the garden. On my wedding day, I wore a combination of fragrances, and having worked at Jo Malone London, I was all for fragrance combining. So I wore Jo Malone Pomegranate Noir with Jo Malone Red Roses (£45). I was always going to wear Pomegranate Noir (£45)—it's my everyday scent, and I'm obsessed with it. I've worn it day in and day out for the last 10 years, and still love it as much as the first time I smelled it. "I love that people associate it with me, so it was a given that I'd wear it. That said, I wanted to mix it up and create a scent I'd always associate with our special day. I played around with a few combinations before settling on Red Roses. The two work so well together, as Red Roses adds a more feminine, floral edge. I've worn Pomegranate Noir every day since, and on our anniversary I added a spritz of Red Roses. It always takes me back." 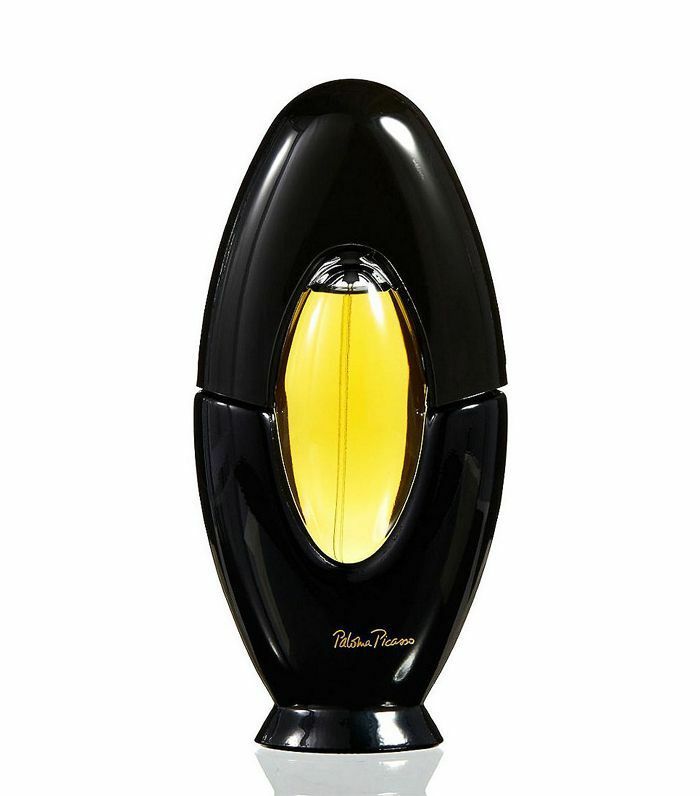 "Paloma Picasso launched in 1984, and I wore it on my wedding day in Bel Air, Los Angeles, in 1988. I've always loved the scent, so I didn't really give any another perfume a thought. As I had worn the scent for a while, I knew I wanted to smell like me. After my wedding I wore Picasso for a while, as back in those days, I had one fragrance I wore for a long period of time, and it became a signature. Issey Miyake L'Eau d'Issey (£40) was another that I wore for ages, and I guess the minute I smell other people wearing it, it loses its appeal." "I operate a democratic approach to fragrance—there's always room for one more in my collection, and as a beauty journalist, I'm able to add in notable perfumes on an almost weekly basis. But I'd never had that one signature fragrance I was faithful to. Turned off by floral bouquets and vanillas, I knew I wanted to discover something a bit left-field for my wedding day. "A white dress and veil and the beautiful Bordeaux countryside were already as feminine a tableaux as I could stretch to, so the fragrance needed to be simple, sensual and entirely unique. Enter Ex Nihilo. I fell in love with the bottles first. 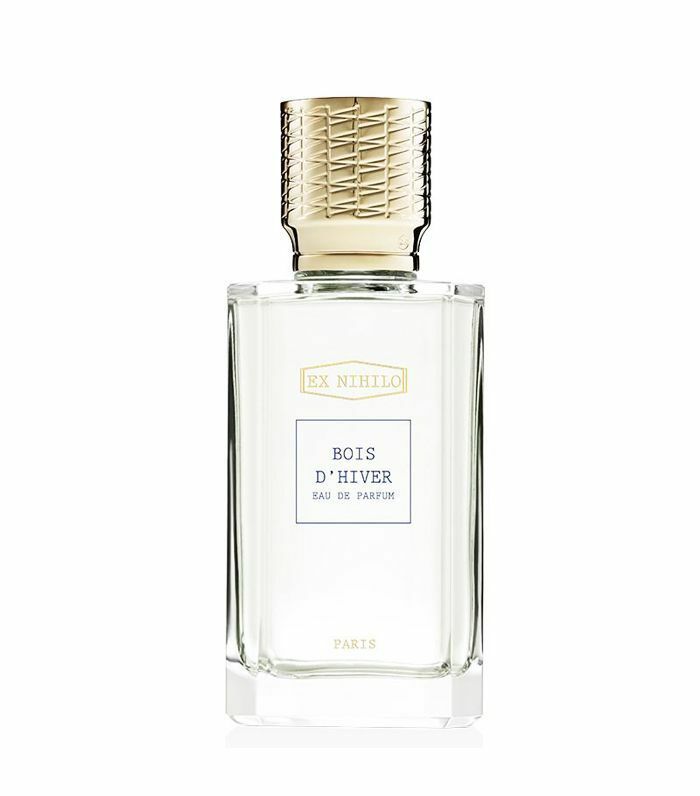 Then, after a fragrance consultation in Harrods, it was Bois d'Hiver (£150) that took my breath away. Translated as 'winter wood,' it provided an earthy, musky strength to what was such a beautiful, effervescent and light-as-air day. It is an utterly perfect fragrance. I'm conservative with spritzing it these days, only allowing myself a little when I want to be transported back to that warm October afternoon." 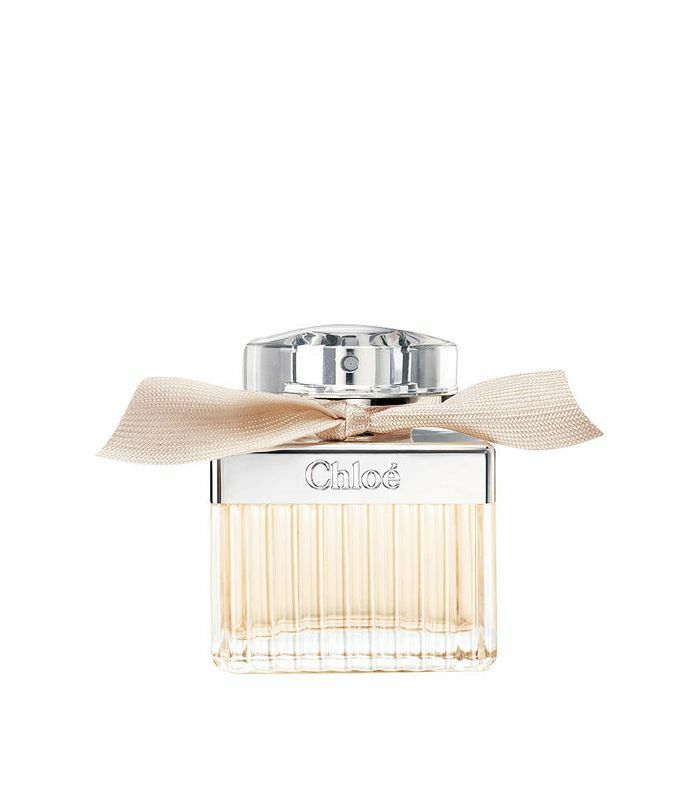 "I wore Chloé Eau de Parfum (£70) on my wedding day, which has been my signature scent for a few years. I actually wanted to wear something different for my wedding, so I would have a special fragrance that transported me back to that day each time I wore it, so I tried a few different fragrances in the run-up to the wedding. In the end, I settled on Byredo Gyspy Water (£142), which is a light fragrance and one that I felt would be perfect for my outdoor summer wedding in Marbella. However, we were in Marbella for pre-wedding parties the week before the wedding, and I started wearing the Byredo fragrance then to get used to it. "When I asked my husband what he thought of it, he said that he liked it, but it's Chloé that makes him think of me. He told me that's the scent he'd love for me to be wearing as I met him at the altar on our wedding day, and so I changed my mind at the last minute and went with the fragrance that he loved. I still wear it, and it makes me smile every time I spray it on as it reminds me of our wedding day and the fact that I know my husband loves it. I also still love Byredo Gyspy Water, as that fragrance transports me back to the wedding week and all of the parties beforehand and afterward, so that will always be a special fragrance to me also." "I cocktailed Jo Malone Orange Blossom (£90) and Black Cedarwood & Juniper (£90), and on my veil, I sprayed my signature scent Dior Oud Ispahan (£200) in the hope that as I walked down the aisle it would leave an enticing, heady trail behind me. My wedding was in April, the very beginning of spring when the blossom starts to show, and I wanted a nod to that through the Orange Blossom. I balanced out the sweetness with a gutsy oud (I'm oud-obsessive; it’s my olfactory equivalent of a bold red lip and crisp white shirt). The chapel where I got married was also scented with the same fragrance but in candles so that it would be an impactful but not too heady entrance for guests. The same scent was at the reception and at the wedding breakfast. "I still wear each of them separately but never together, and I'm not sure why. Perhaps I don't want to change that special memory, and no outing apart from my wedding day warrants that special fragrance combination. I do, however, burn the candles to fill the house up with the aroma, but I've yet to wear it." 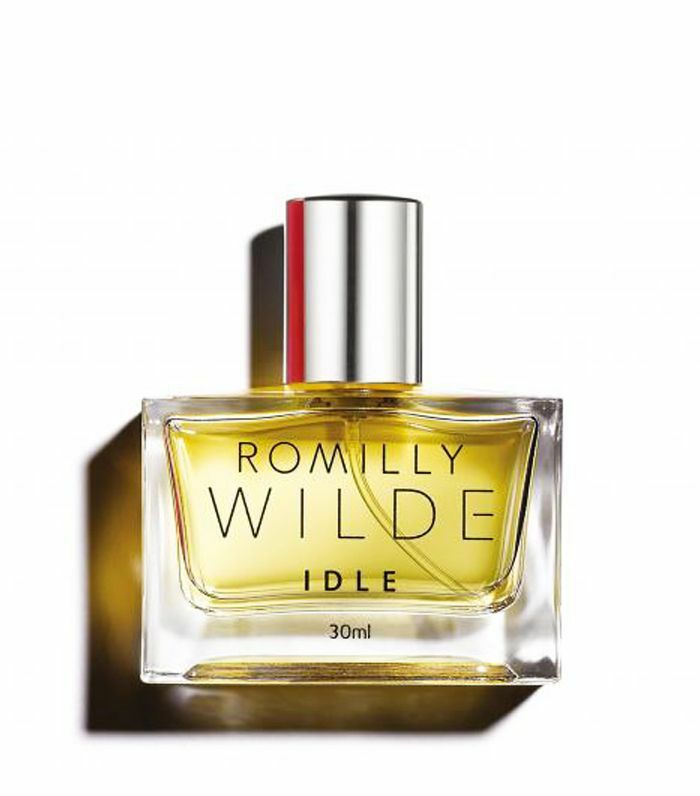 "I wore my own perfume, Idle by Romilly Wilde, for my Wiltshire wedding in 2014. I wanted to wear something super subtle that also represented my mood and emotion for the day. It was incredibly special wearing a perfume that I had helped to compose. The layers of personal connection within this scent are so tangible and profound. Idle is a modern chypre. It's abstract, mossy, woody with a floral top note that soon escapes to something muskier. It's veil-like in its presence and worked perfectly for my wedding." "There was very little I was fussed about when it came to my wedding (no bridesmaids, no cake, no wedding dress shopping! ), but I did know that I really wanted a lovely scent to remind me of the time. As our wedding was in Spain, it needed to be something light and summery, and whilst going to my favourite fragrance haunt—Liberty—I discovered a really unusual perfume from a relatively new brand from Ireland called Roads. 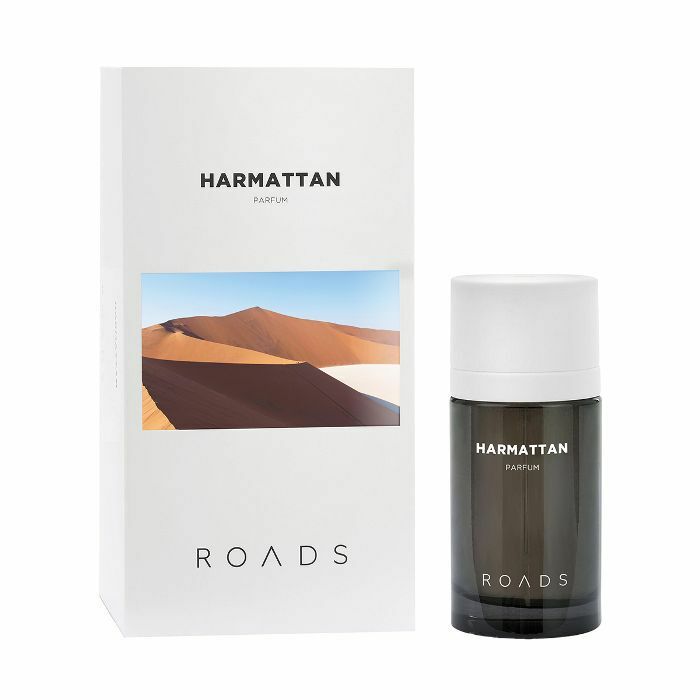 Harmattan (£95) is actually the name of a super-dry and dusty wind that blows over the Sahara Desert, so it's quite spicy and warm, and I'm a sucker for anything with a patchouli hit." So what will it be? 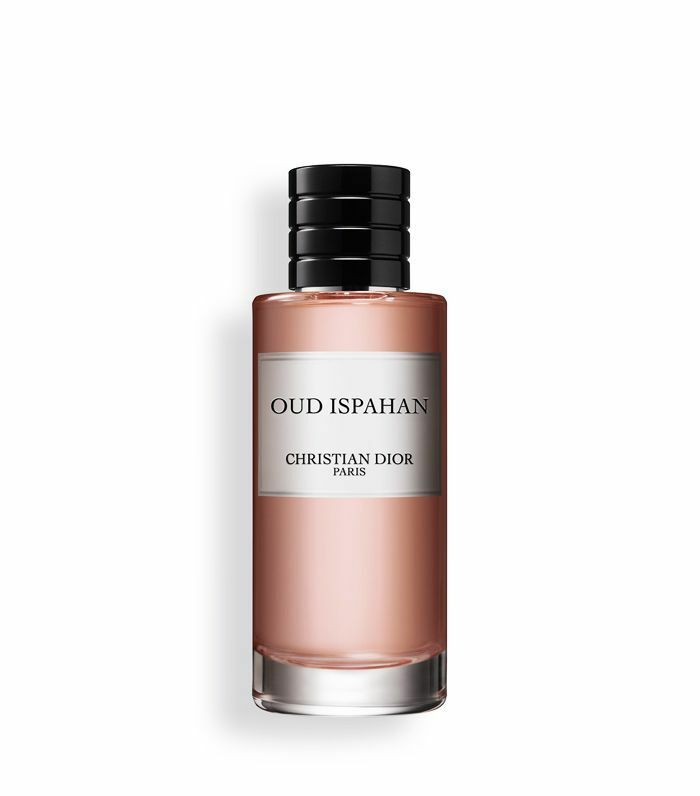 Something airy and bright, floral and comforting or heady and full of oud?